Sign up for this field trip on Thursday August 27. Please note that there will be a short orientation meeting with the organizers of this trip on September 03, not August 27 as previously announced. Experience Life in a Remote African Village – September 11, 12, 13. ‘The most memorable couple of days ever spent in Angola’ is how some visitors who have experienced this trip refer to it. We have just been informed that the road we have taken in the past is barely passable now. So the plan now is to drive from Luanda via Catete to Muxima and then head south along the recently improved road along the eastern boundary of Quicama National Park to Mumbondo before cutting inland, east to Luandos on a rough bush road. Four wheel drive required. Children are welcome as long as parents accept full responsibility. There is a charge of $150.00 per person for the three days to pay the community women for the food and the carrying of water from a distant well for showers, etc. If you want to participate, please sign up on Thursday, August 27, at the Viking Club. We will have a short meeting beginning at 8:00 pm with some members of Luandos village who will not only answer all your questions, but also explain further about their community’s festivities which will be ongoing during the September 11th weekend, celebrating the ‘week of reconciliation’, when former natives of Luandos return ‘home’ and reconcile themselves with their traditional culture. 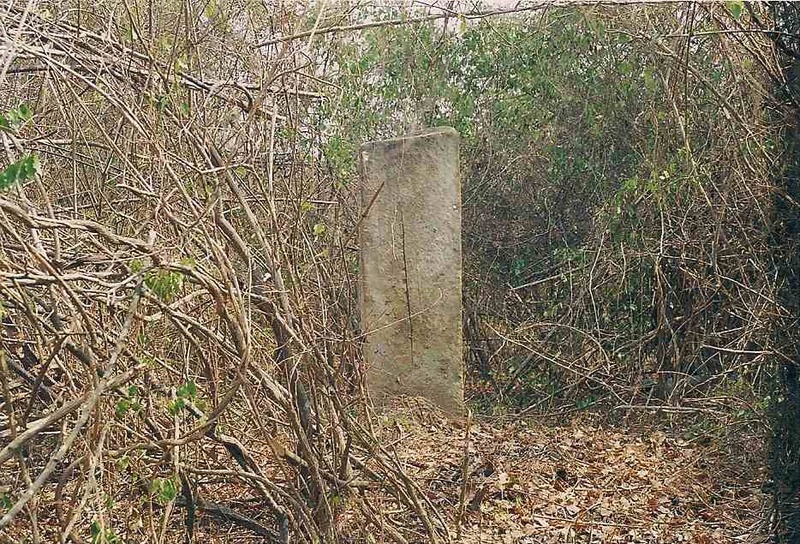 Tomb stone of King Kafuxi Ambari - King of the Kissama Kingdom. 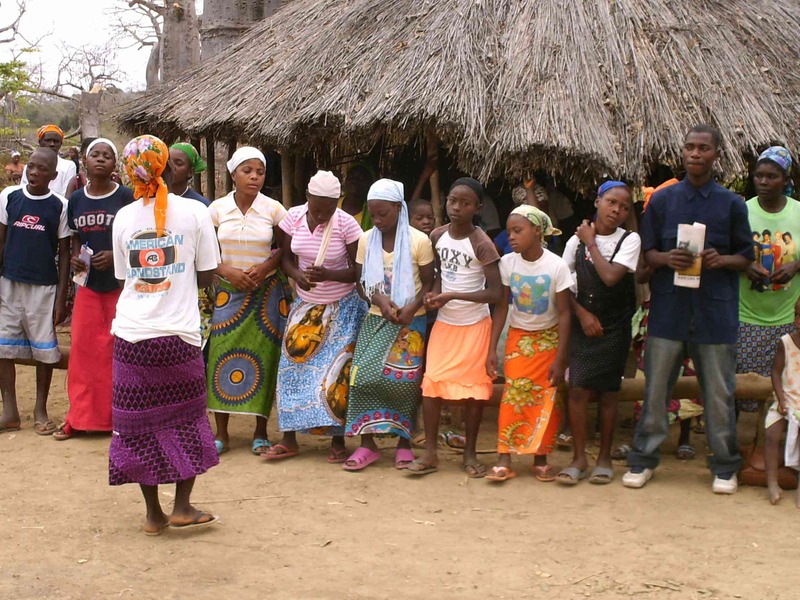 Angola Field Group members experience life in Luandos.